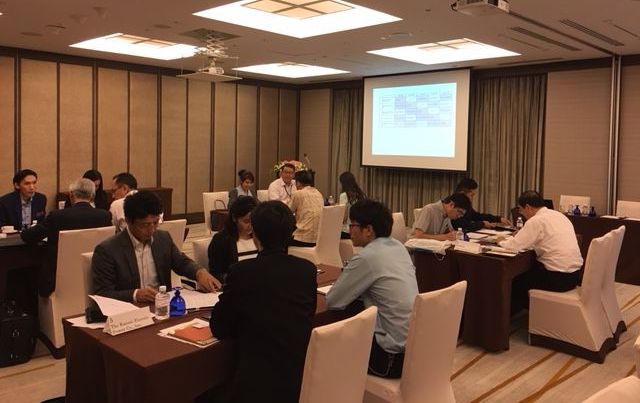 HOME >> Achievements >> Business matching event with the Association of Energy Service Companies (ESCO) of Thailand was held. 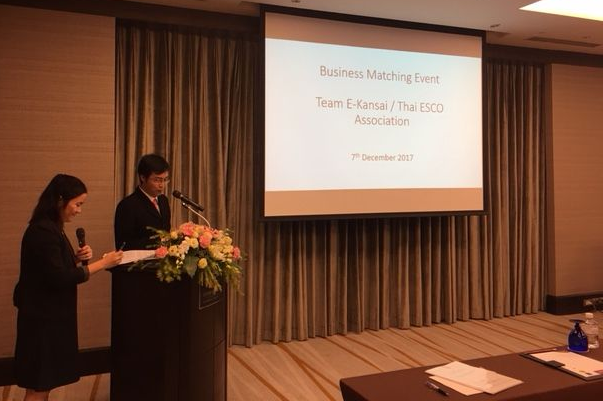 Team-E Kansai held a business matching event in Bangkok on Dec. 7th, 2017, aiming for creating the win-win relationship business partnership by leveraging respective strengths such as products, technologies or know-hows owned by member companies of Team-E Kansai, as well as the knowledge and domestic networks owned by Association of Energy Service Companies (ESCO) of Thailand . The 10 companies in total, 5 from Japan 4 companies and 1 government organization from Thailand participated in the event. After　Team-E Kansai member companies introduced their products and technologies, each company mutually had a meeting on a One-on one basis. Further, after the meeting, the Japanese participants had a networking café that became a good opportunity for exchanging information interacting among the companies on the spot.